It’s the most wonderful time of the year, yes Q4 is upon us and if you’re in retail management, the time honored tradition of hiring seasonal workers! There is a certain amount of anxiety among store managers this time of year with the pressure to perform but also because hiring seasonal workers can often be a mixed bag of employee performance results. No one likes to be caught off guard or unprepared, least of all store managers. Going into Q4 managers need to know what type of employees they have, what seasonal employees they need and how many. To start, look at previous years to get an idea of how many workers you hired, how much in wages did you spend, as well as financial results. Keep in mind, times can change, as an example wages this year are up across the country, while consumer spending is expected to rise, and hiring seasonal workers is expected to be lower than last year. What does that mean? It means the competition for seasonal workers is going to be higher, and you’ll need to be prepared to offer a competitive wage if you’re going to attract the talent you want and need. Once you do know the positions you’re going to hire for, prepare a detailed job description. The more defined you have the position, the easier it is to see how well your potential hires can fit in and train to do the job. Having an idea of what the strengths and weaknesses of your store can also be extremely helpful in identifying the type of help to hire, and prioritize where you need the most help. To find this out, look into doing a store audit or store evaluation. What is the retail mindset? The retail mindset is essentially the way in which we stereotype retail jobs and expectations. Customers don’t expect a great or even good experience, managers don’t expect to hire good employees, and employees look at retail jobs as simply a way to pay the bills, and nothing more. If you’re customers are so important to your business, shouldn’t the people interacting with, answering questions and taking their money be treated with respect they deserve. If you’re going to interview seasonal candidates, make it formal, be professional and don’t simply look at a resume and say, “Your hired. When can you start?” This gives the potential employee a feeling that you are desperate for just anyone, it doesn’t show you care, and it misses on an opportunity to impress the importance of the job and the candidate’s role. If you, the interviewer/manager/owner of the store treat the interview with respect and professionalism, potential candidates will pick up on it, and will often treat the job that way. Many retailers are looking for great employees. Potential candidates will often respond and perform better if they look at the position as a possible audition for something more. The competition for good talent is more competitive than ever. While more companies are starting to hire earlier this year, projections are that there will be less jobs to go around this year. So what to do? Start early! Many companies are trying to get a head start on the holiday season with some companies starting to hire seasonal support as early as August! Target got a head start this year, announcing in early September they would hire 70,000 workers. Tap friends and family and current workers. In addition to starting early, start tapping into your and your employee’s networks. If you have high performing employees, start to ask them if they have friends that might be interested. 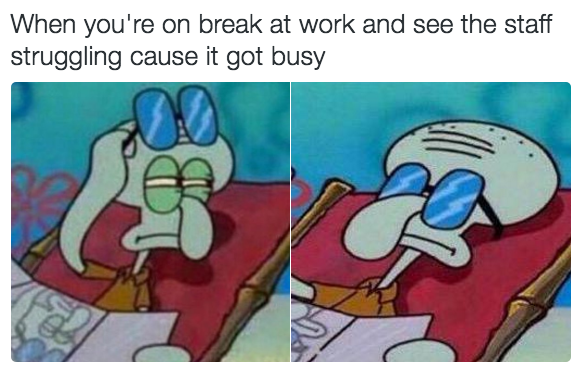 Get that job posted! Make sure you’re job postings are in places that job seekers are looking. Indeed, LinkedIn, CareerBuilder, Monster are just a few. If there are local universities in your area, look into seeing if they’ll allow you to post on their job boards. Go on a recruiting trip! Some store owners have found success just going into other retail stores, observe how employees interact with customers or had such a great customer experience, they offer employees a job on the spot. 4. Training and On-boarding are Difference Makers! Increased sales and customer satisfaction in Q4 can actually come down to just how well a store can train and onboard their seasonal employees. If employee performance is truly important to the success of your store, on the job training is simply not an effective way to train your employees. More companies are using technology as a way to train and onboard their employees, in addition to hiring more workers earlier in the process to get them up to speed. With mobile devices, employees can have information, training, and task management in the palm of their hand. Other solutions allow managers and corporate to upload specialized trainings, assign them to specific employees and then track and see if they viewed them. Such technologies can directly influence employee performance, and with seasonal workers and different shifts, finding the time to provide individual training can be stressful and will often be put aside. Don’t get so busy that you neglect something this important! In retail, this might seem like a no-brainer but putting a little effort into reaching out to previous employees can pay off big time. Why? Previous employees need far less training, understand your store and culture, and store managers already have an idea of their ability. Create a list of previous employees from your database or files, and host a “Welcome Back” event or lunch to see how many might be interested and show them your holiday plans and why you need their help. 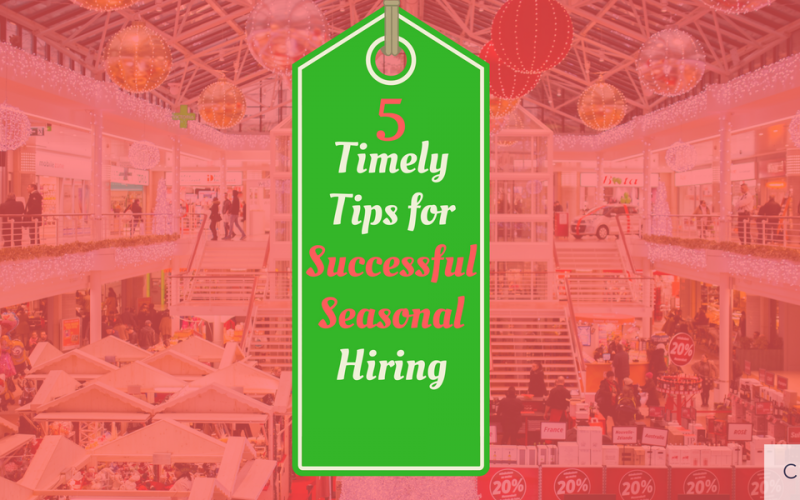 A lot of these tips apply not only to hiring seasonal employees, but also any employee. Remember, you can’t have a great customer experience if your employee experience isn’t great. Now…go forth and crush Q4!